Thank you for your interest in Chashama’s Space to Present Program. 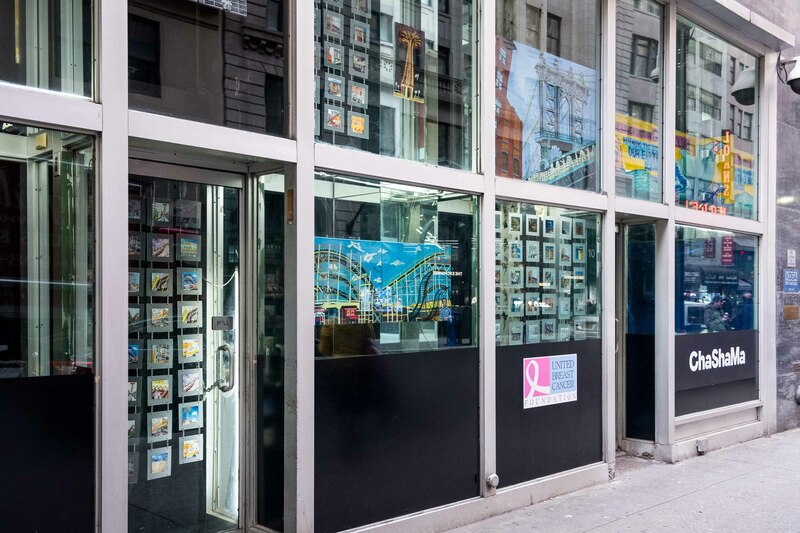 This application form is specific to the art window display spaces in the Diamond District (West 47th St., Manhattan). We are seeking bold, exciting installations, free-standing sculptures, and dioramas that are modular or otherwise malleable, and can be made site-specific. 4-5 artists will be selected to install site-specific installations in "Zones" to be designated within the building, viewable through the glass front. This opportunity includes a stipend of $500+. Please read all the information about these spaces before applying. Artists will be paid a stipend of $500 for the installation, funded by the property owners, plus a portion of additional available funds to be allocated depending on complexity, scale and expense of installation. Photos of the current installations can be seen here. The deadline for submissions is April 30th, 2019 at 11:59pm. Installations will remain on view from mid-June to mid-October, 2019. This space receives heavy foot traffic in the heart of New York's Diamond District. There are multiple windows available, including: glass doorways, eye-level display cases, 12' two-tiered flat windows. At least 4 artists will be selected to install site-specific installations in Zones designated within the building. Zones indicated on window plan are for planning reference only, as the spaces may be divided differently based on the needs of the selected artists. Artwork will be visible to the public through the windows of the space only. Artists should be prepared to work with the unique character of the space. This space is not suitable for delicate artworks that are sensitive to the elements. Artists will have approximately one week to install their work. Exhibitors are fully responsible for the installation and deinstallation of their presentation and for setting up any technical equipment or displays for their own presentations. Chashama does not provide hanging materials, tools or AV equipment. Not all proposals can be accepted, and we are unable to respond to all applicants. You will be contacted only if your proposal is accepted or if we have additional questions. 5 images of recent work (.jpg, .png, .tiff) that relate to the proposal. A layout sketch would be helpful.